The rodent-proof Ratsack food storage bag keeps critters from getting into your food, water, first-aid supplies and toiletries while you're camping. 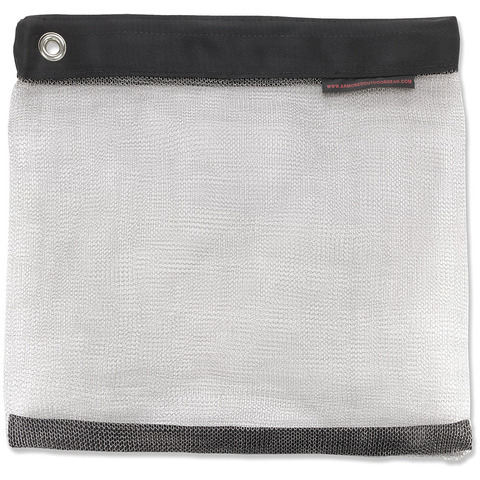 Lightweight, flexible stainless-steel mesh bag seals at the top with a 3"" hook and loop closure. Lays flat when empty and rolls up into a 2.5 x 18 in. cylinder; won't rust or break down; 1/2"" grommet for hanging out of reach of larger animals. The Ratsack is not bear proof; hang the bag out of reach of bears whenever possible. Please note: the Ratsack food storage bag is not bear proof.